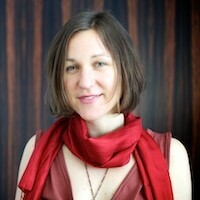 Stefanie Wuschitz is a lecturer, researcher and media artist from Vienna. She graduated with honors from the University of Applied Arts, Vienna, and completed her Masters at NYU’s Interactive Telecommunications Program. During a Digital Art Fellowship in Sweden she coordinated the Eclectic Tech Carnival 2009 and founded Miss Baltazar’s Laboratory. She finished her P.h.D. June 2014 at the University of Technology, Vienna, researching on “Feminist Hackerspaces. A Research on Feminist Space Collectives in Open Culture”. Her art work has been presented among others at the following venues: the Austrian Cultural Forum (NYC), Galeria Hippolyte (Helsinki), Okno (Bruessels), Videonale (Bonn), Goethe Institut (Damascus), Arthall (Budapest), Worm (Rotterdam), Murberget (Härnösand), the Ars Electronica Festival (Linz), Transmediale (Berlin), ViennaFair (Vienna), DogPigArt (Taiwan).